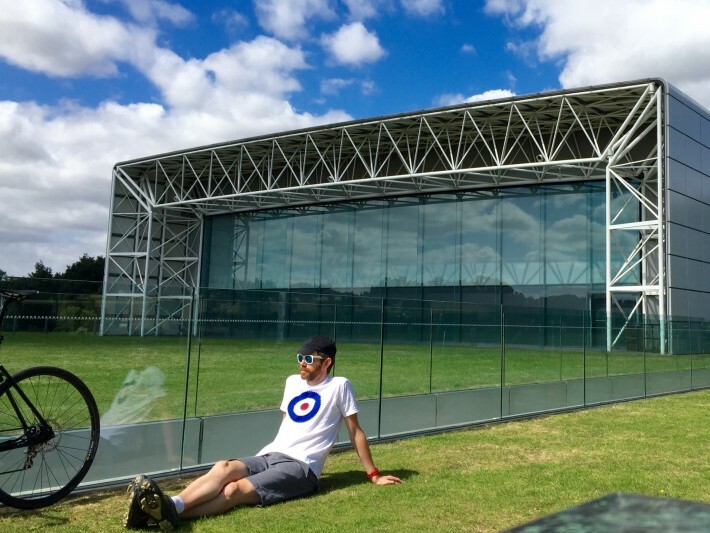 The Modern Hour t-shirt is inspired by the fantastic performance in breaking the hour record by Sir Bradley Wiggins. With the ‘MOD Target’ shape being constructed of a 14 tooth sprocket and 58 tooth chainring, the sizing which was used by Wiggo on the hour ride. No point slowly spinning up a hill, get out of the saddle and attack the climb! Of course that doesn’t apply to all roads that go upwards, just the short, sharp hills of Norfolk, that inspired this t-shirt design. Most hills in Norfolk can be attacked and ‘sprinted’ up. The inspiration for the ‘Escape to the Peaks’ t-shirt came from the frustration of living in a beautiful area of the country that has no hills. Zero, nada, zilch. The highest climb by road in the area is a mere 213ft. You can’t even find a climb that takes much longer than five minutes. So the desire and need to escape to the peaks/hills/mountains, brought about the thinking and dreaming about such places and in turn, the starting of the design of this t-shirt.